My name is Sara McMann. I’m 38 years old, I was born in WashingtonD.C. and grew up mostly in Maryland and Pennsylvania. 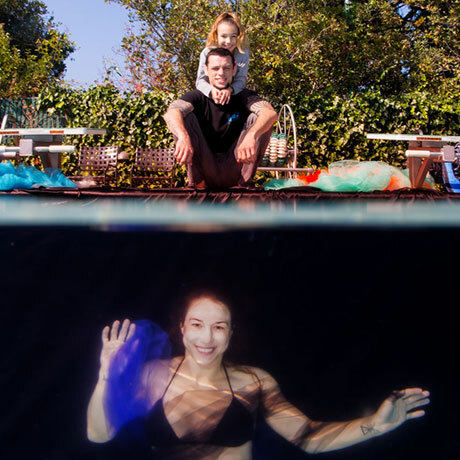 I wanted to be involved in underwater transformative photography project to help bring light to others who are struggling with trauma. My brother was murdered when I was 18, my fiance died when I was 23, and I grew up with poverty and drug addiction in my family. I used sports and education to process my pain and transform it into success in life. I feel like there are many ways to heal and it’s important to find the right one for you. For the photo shoot, I didn’t have plans, I just wanted to see what the experience was like without expectations. Before the photo shoot, I felt a little nervous because I didn’t think I could hold my breath for very long. I was nervous that it would ruin the pictures while I struggled to breathe. 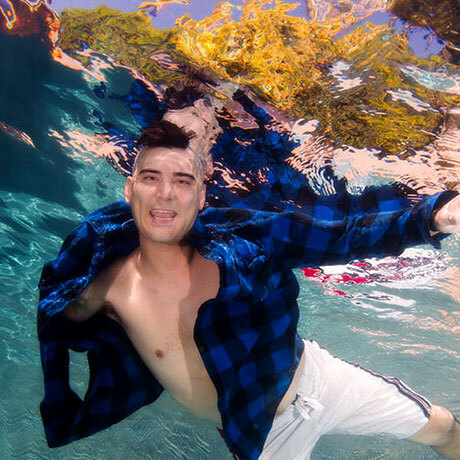 I liked the underwater transformative photo shoot a lot more than I thought I would. I’ve done a lot of photo shoots and many were tedious or uncomfortable. This was more fun and relaxing than the others. It was very quiet and serene. The first time was too cold for me but the second pool was the perfect temperature and felt great. After the photo shoot, my mood was tired and super relaxed. That night, I slept much deeper because of how relaxing and tiring the shoot was for my body. Water has a way of making you feel energized while you’re in it and drained once you get out. Water is something that all people are drawn to and fascinated by. It is beautiful to see, soothing to hear, and relaxing to touch. 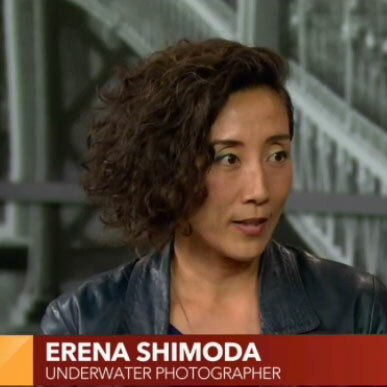 I really liked working with Erena. She was very kind and patient with all of us. She was positive and encouraging during the entire shoot. You could tell that this was something she was passionate about. I would definitely recommend this to others. Healing can be found in many different mediums and I think the water experience will help a lot of people, especially this with physical trauma. Erena brings out beautiful and artistic poses that make people feel good.